Fully furnished vacation rentals with HVAC, full kitchen, Cable TV, villa deck with table, and daily garbage removal. Some are pet friendly. This can be a difficult campground to work with. They refuse to give you your site number before check-in and you can not request specific sites. This is an issue for big rigs. Also all big rig sites are backin. We have a 43ft Seismic with a back and side deck. All the sites are very tight even if you let them know your rv size. We requested an endcap but didn’t receive one. It is very tight to place your rv due to all the vehicles parking along the route and the tight spots. The water park is great and so is the access to the beach. They have very good security and there is no worry about your older children going off on their own. 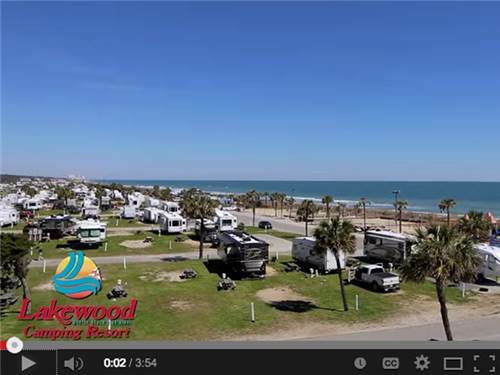 Lakewood RV Park Experience The Lakewood RV Park Has the potential to be a 5 star RV Resort. The park has great amenities and numerous options for family fun. Unfortunately, they do not seem to be able to keep up with the maintenance of the rv sites. The sites were not level, many of the site markers were knocked down and not repaired during our 4 day stay. We were unfortunate to have a full day of rain and many of the sites were completely flooded due to poor drainage and uneven sites. The security patrolling at night was negligible. Loud music and cruising of golf carts were allowed to well after the 10:00 quiet time. Fireworks which were prohibited, were going off until midnight most of the nights. Don't have rules if you are not going to enforce them. With the prices charged for rv sites, it is too bad that they do not invest that into maintaining and improving the sites. If we return to the area, we will try one of the other facilities in the area. We enjoyed this oceanfront park. Lots of amenities. The water features are huge. The beach was just a few steps away from out site. We enjoyed food from the beachside locations. Great staff, very friendly. We would definitely stay there again. Great camp ground stay here 11 months ago and now back again with grand kid. Lotsof things for everyone to do. Only problem I had was they do not enforce the under age golf cart drivers. To many and kind of reckless. 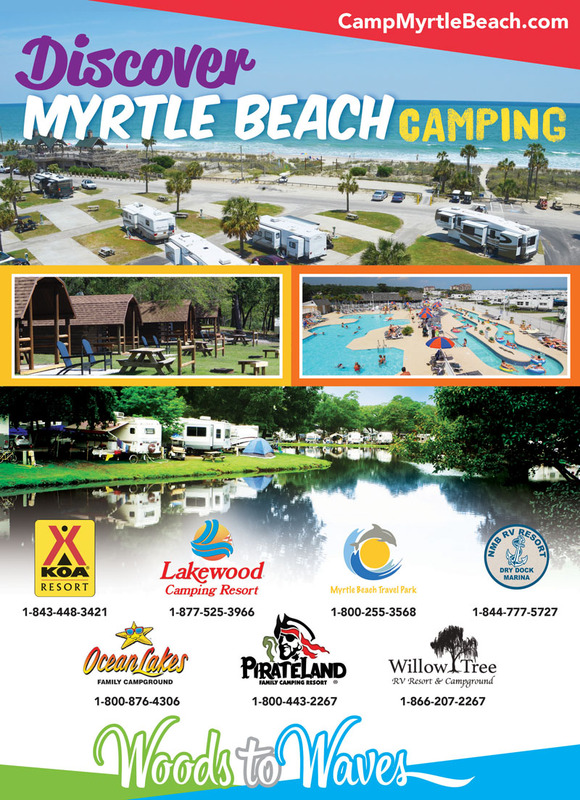 This was a great campground with lots of amenities, restaurants, and store on site. This is not an RV park but an RV city! Nice ocean front park with a clean family friendly beach. We chose a premium beach front site and it did not disapoint. We had about a 100 foot walk to the beach. There are annual rentals and houses in the campground but still plenty of short term sites. We could have stayed in the campground and had a great time as there was lots to do. Putt putt Golf, water park, amphitheatre, golf cart and bike rentals, laundromat, and more. You will definately want to rent a golf cart for your stay as this park is huge! The only downside we encountered was some of the staff. The water park staff, security gaurds, employees that lend out the shuffleboard, and trading post employees were really nice but dont be surprised if many of the employees encountered at the front desk, paddle boats/bikes, and arcade are not very friendly. We chalked it up to most of them being teenagers (as we have 3 of them ourselves). We had a blast and would definately go there again! This was a great campground. Lots of sites chose from. Multiple amenities, restaurants, and stores on site. Literally a town unto itself. Right on the ocean front nearly a mile of ocean front access. Not just a pool but water park. Activities going on daily. We chose a shaded site bit was disappointed to find the trees made it impossible to get close to the hook ups. Had to buy extensions which thankfully they had at the store. Did not appear to be a problem at all sites just the ones in the shaded areas. There are annual rentals and houses in the campground but still plenty of short term sites. We could have stayed in the campground the entire time and had a great time as there was so much to do. Putt putt Golf, amphitheatre, golf cart and bike rentals, laundromat, and so much more. You won't be disappointed. Spacious campsites...some sites require leveling. People are friendly. Water park, entertainment, pool, coffee house, & general store are excellent. Ocean is great & nightly golf cart cruises are enjoyable to watch. Restrooms/Bath houses need to stay as upgraded as possible. Would stay here again in the future. We had a great time staying at the campground. This is our first camping trip with our new camper. We stay near the water park and it was nice. everybody was friendly and helpful. There is a lot of things to do for the kids of any age. I like that the park lock the gate at night and security check everybody's pass when entering the park and between the police department and security make roaming patrols. Site had to many trees for my toy hauler-called the Office and no one answered the phone, had to walk up to Office and there was no one in Lobby, When arrived felt like we bothered the front desk people, Loved the Cafe for breakfast every morning. Bathrooms Great & clean. 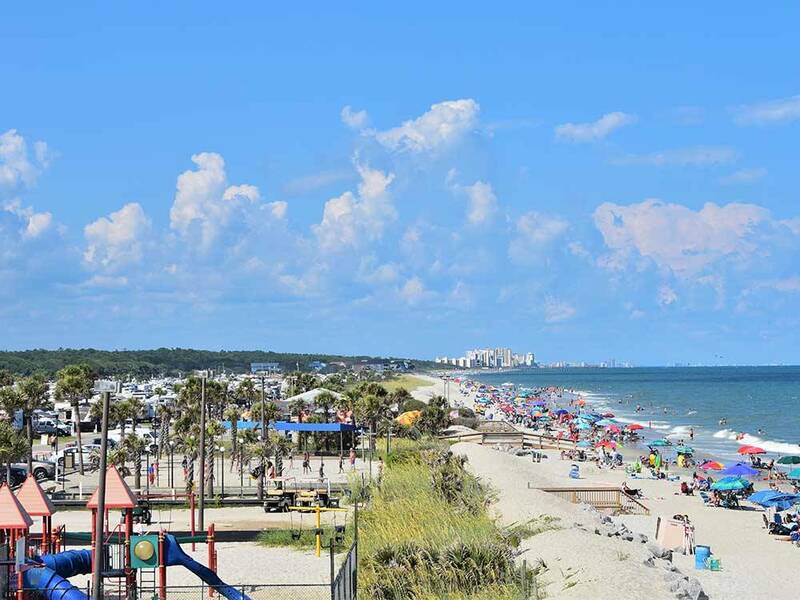 A massive playground for families spanning almost three hundred acres, including a half-mile of beach, lake activities, a full sized water park, two pools, a mini-golf course, bikes, live entertainment, and so much more! From Jct of US-501 & SC 544: Go 14-1/2 mi SE to Bus US-17, then 1/2 mi NE on Bus US-17 (R).